More than 400 new vehicles for the new West Midlands franchise will be built by Bombardier and CAF in a deal worth £680million. An impression of the new CAF diesel train for the West Midlands franchise with its centre corridor connection. Bombardier’s Derby plant will build 36 three-car ‘metro’ 90mph EMUs to replace the Class 323s on Birmingham Cross-City routes and 45 five-car 110mph outer-suburban EMUs for longer routes, including Birmingham-Northampton-Euston. 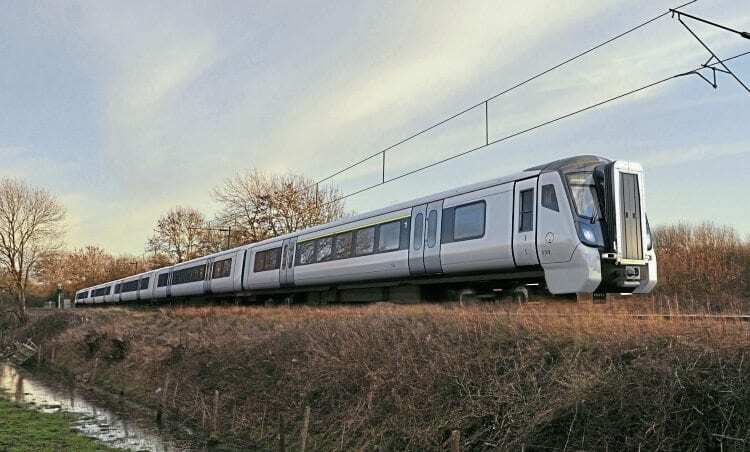 Both types are part of the ‘Aventra’ family, which has recently won large orders from Transport for London, Greater Anglia and South Western Railway. Bombardier’s ‘Aventra’ EMU for the West Midlands franchise has similar front-end styling to the CAF DMU. The electric trains will be joined by 12 two-car and 14 four-car DMUs to a new CAF design for diesel suburban routes around the West Midlands. The DMUs could be built at CAF’s new factory in South Wales, although that has not yet been confirmed. The order is worth around €200m. The 413 vehicles are due for delivery in 2020/21 and will increase the WM fleet by 25%.